We are moving innovation and industry foreword every day. We manufacture custom refrigeration systems for all different types of applications. We match custumer refrigeration needs with custom outdoor and indoors refrigerating solutions. 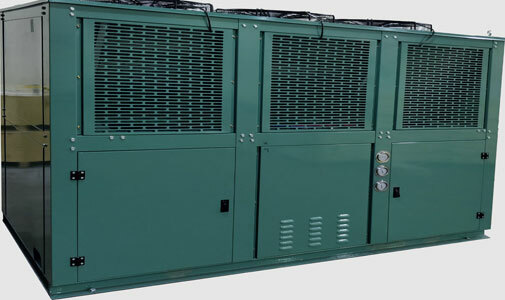 We provide a variety of condensing units with a full line-up of BITZER compressors. We also offer condensing units for blast freezers, spiral freezers, tunnel freezers, spiral chillers, tunnel chillers, and many other hot loads. Choosing proper condensing units and compressor type with the appropriate performance operating envelope is a very critical task. Our advanced control system allows us to achieve the highest efficiency and performance rating on the market. 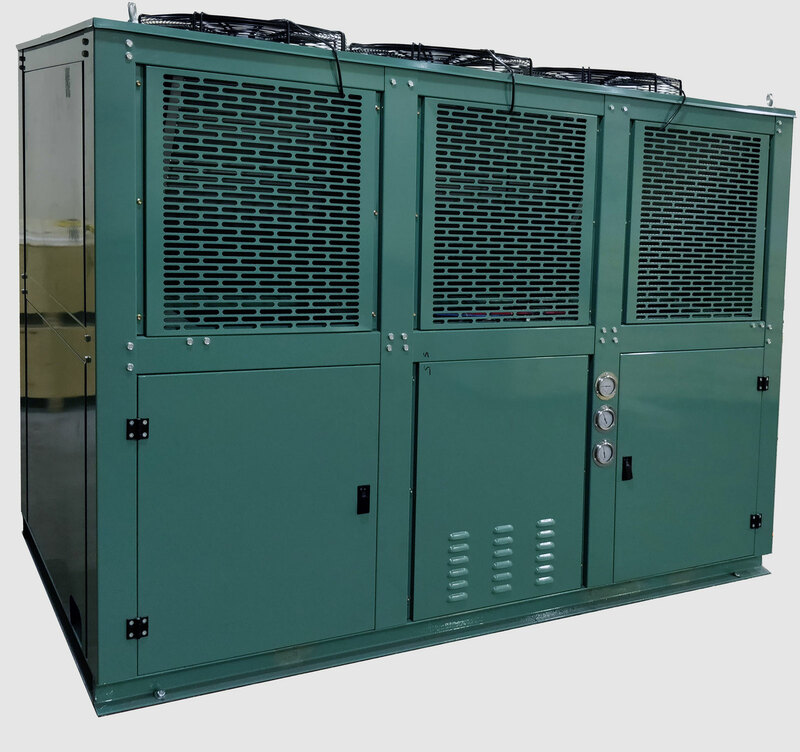 Our systems have full control of the system-enclosing compressor load, temperature pull-down time, product temperature, fan speeds, compressor load and speed, as well as, many other parameters. Contact ss and learn more about our refrigeration systems. We manufacture full line of Rack systems. With a different compressor type scroll, screw or reciprocating. We provide variable compressor speed control system integrated in to the main PLC control in the rack system. This allowing us to eliminate any pick amperage during compressor starting. BITZER HSN screw serious compressors we recommend to use to the blast and very low temperature applications. This compressors have a large operating envelope and handles very well low suction pressures and high ambient temperatures. BITZER HSK screw serious compressors are a grate compressor type for many applications such as blast chiller and moving load product. This compressors are performing very well in a high load application. Adding economizer to the HSN & HSK screw compressor with bring significant performance boost to the compressor capacity. We provide large variety of evaporating unit and coils to the costumers. 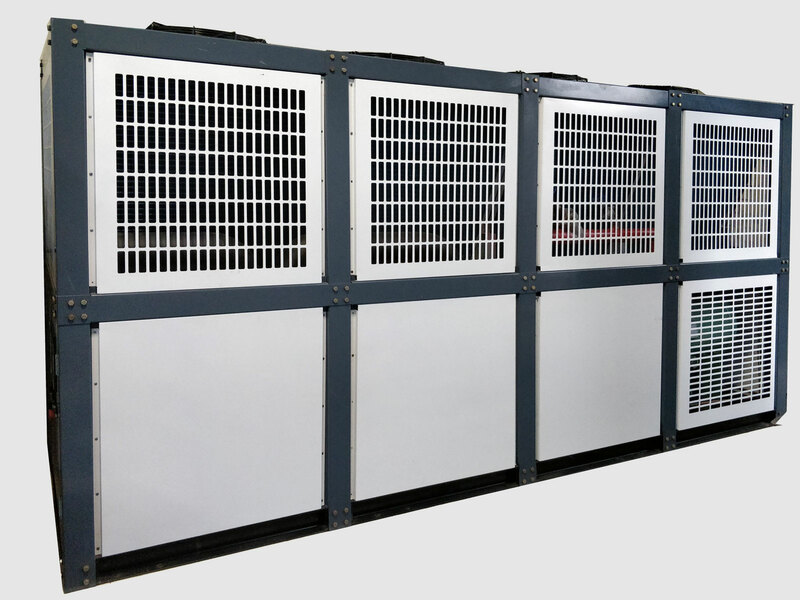 We specialize in the blast chiller and freezing application high performance coils. We use a special tubing in our evaporating and condensing coils to bring more performance to the smaller footprint. Costume fin spacing and costume finish of the fins and on a coils. We manufacture according to out costumer specifications. We have different types of fins, different fin coating and thickness.